Christopher Nolan's third and final offering to the Batman mythos will hit theaters July 20, and there's a lot riding on this film. Nolan has two fantastic movies, Batman Begins and The Dark Knight, to outdo here. What do you do to one-up Heath Ledger's Joker? You go for the only villain in Batman's rogues gallery who is his mental and physical equal: Bane. But what can we expect from Bane? 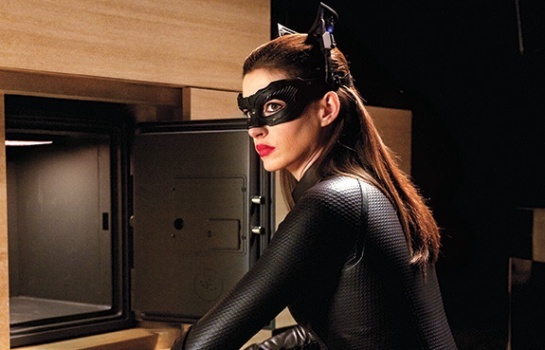 And more importantly, what can we expect from The Dark Knight Rises that will set it apart from its predecessors, and close out what can only be described as the greatest comic book movie trilogy of our generation. DKR will draw inspiration from three different comic storylines: Knightfall, No Man's Land, and The Dark Knight Returns. Let's look at the probable story arc of DKR, based on these comics. At the end of The Dark Knight, Batman assumed responsibility for the crimes of Harvey Dent, and we last saw him fleeing from Gotham police. The Dark Knight Rises will pick up eight years after the events of The Dark Knight, with a Gotham that has risen above the crime that once plagued it -- a Gotham that no longer needs a Batman. That is, until Bane decides that he would like to rule Gotham. Bane has spent a lifetime disciplining his mind and body. He is a perfect machine of a man, with a brain that operates at a higher level, and a physical prowess that Batman cannot match. To top it off, he deduces Batman's identity by simply thinking really hard about it. This event will be the linchpin of DKR. In Knightfall, Bane does the impossible -- he bests Batman in physical combat, and breaks his back over his knee. Batman is put out of commission, and nothing stands between Bane and Gotham. In DKR, we can only assume that Batman will be beaten by Bane -- physically and mentally. Batman will be humiliated. And we can also safely assume that Bane will expose Batman's identity. This will be the fall, literally and figuratively. 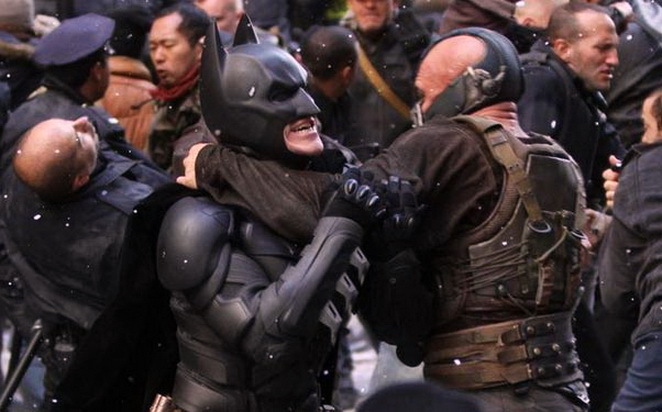 In layman's terms, Batman will be taken down a peg, and Bane will one-up him in a BIG way. 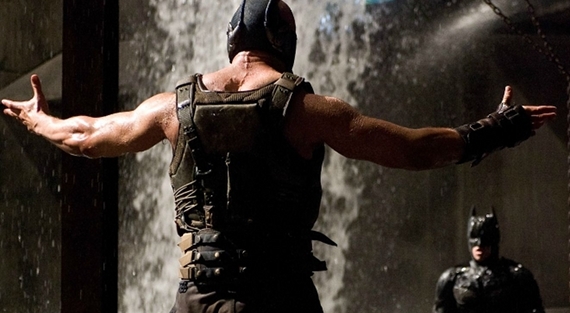 Bane will leave him alive -- so he must live with his failure. Batman will slink away to lick his wounds. CAT JOKE. Now it's time for No Man's Land to come into play. In No Man's Land, gangs seize control of Gotham. In DKR, after Batman is taken out by Bane, crime will once again rise up in the city of Gotham, and run rampant and unopposed. Bane will essentially ascend to rule over the city and its populace, who no longer has its Dark Knight. This is where Selena Kyle and John Blake will shine as characters, I imagine, but also when Ra's al Ghul will factor in. That's right. Villain from Batman Begins? Ra's, and more specifically his League of Shadows, will play a very important role in Batman's recovery, and his ultimate ascension to best Bane in physical combat, and outwit him to regain control of Gotham City. Batman's ultimate return to Gotham will be the final act of this film trilogy. It will complete his arc as the son of Gotham and as the Dark Knight, and pit him against an enemy he actually fears. Batman will walk into the fight knowing that he may lose -- knowing that he may die, and pay the ultimate price for this city he has already given everything to, with nothing in return. The final outcome? We'll have to wait and see. But rest assured it will be a fantastic display, laden with emotion. This is the final stop on this crazy train, and I'm sad to see it end. But I'm also excited for what's to come. Interesting predictions, makes me want to see the movie even more.